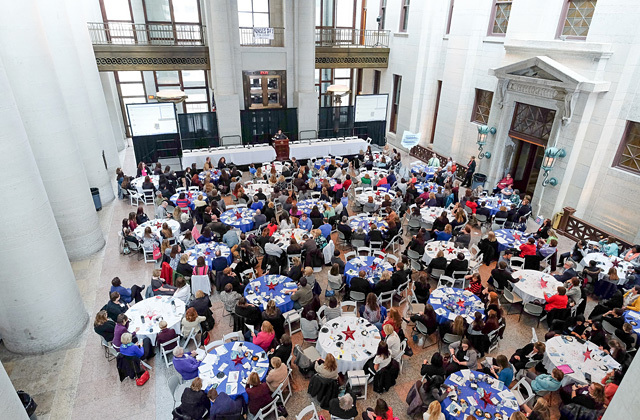 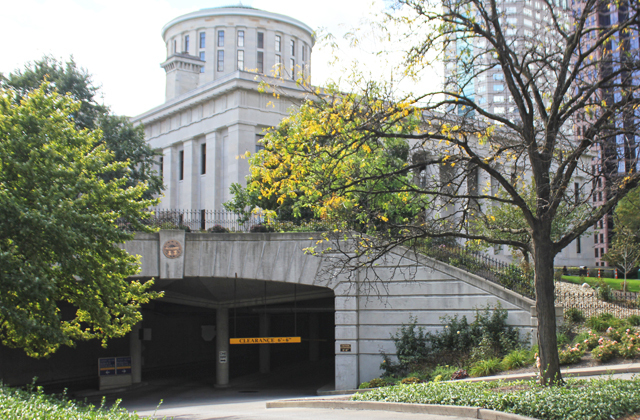 Situated on 10 acres in the heart of downtown Columbus, with the backdrop of the magnificent Greek Rival Capitol Building, the Ohio Statehouse grounds encompass expansive pastoral green spaces, flower gardens and sculpture honoring Ohio's past. 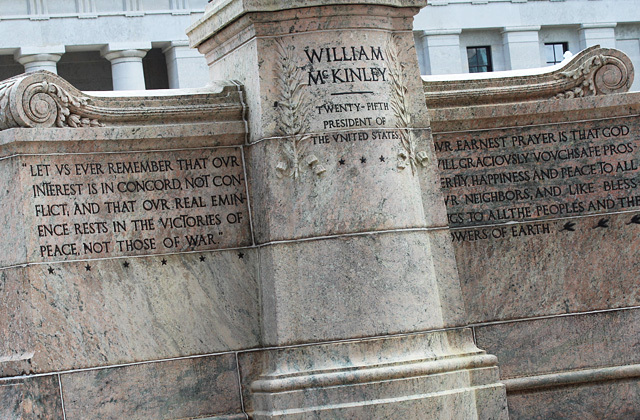 The grounds continue to serve as a gathering space for both historic and everyday events and rallies. 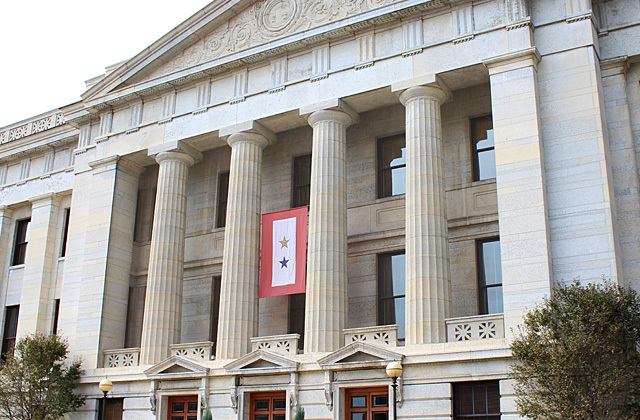 Among the most prominent features of the Ohio Statehouse and Capitol Square is the symbolism found in the historic statues, monuments and markers expressing the ways different generations of Ohioans have understood their history and own experiences, and how they wished to be remembered. 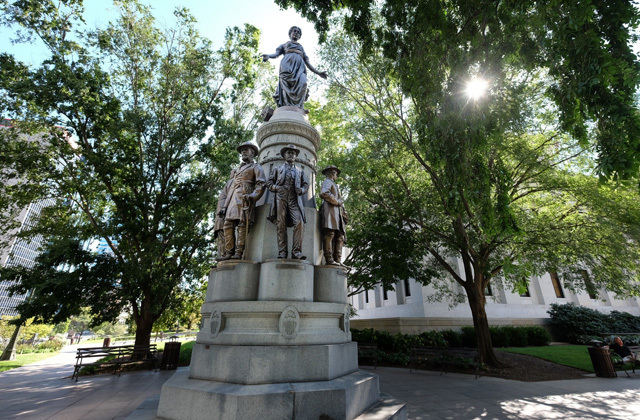 The monuments and statues on Capitol Square depict the values, ideals and desires of the Ohioans who commissioned and designed them. 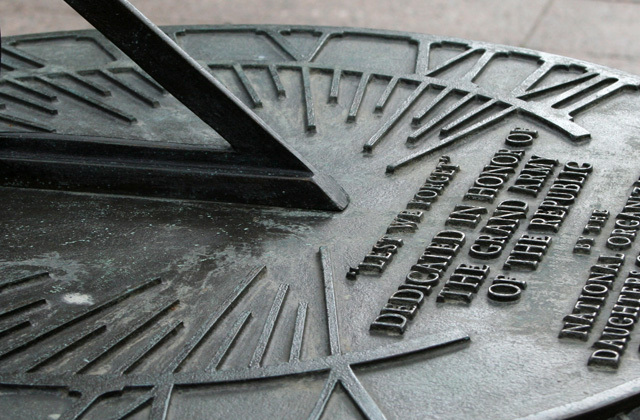 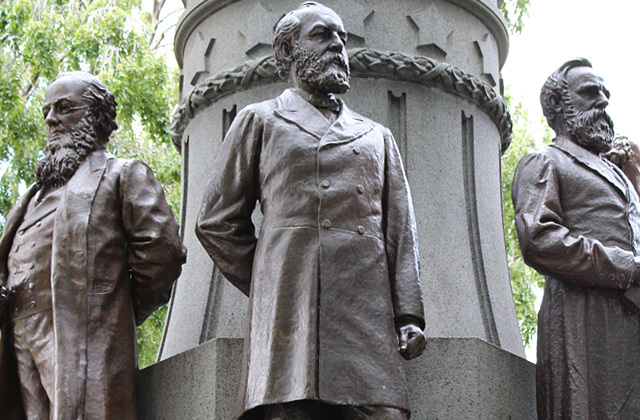 These monuments trace the history of those particular ideas over time. 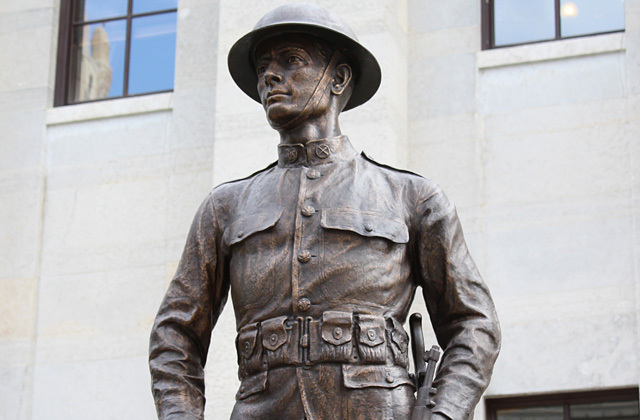 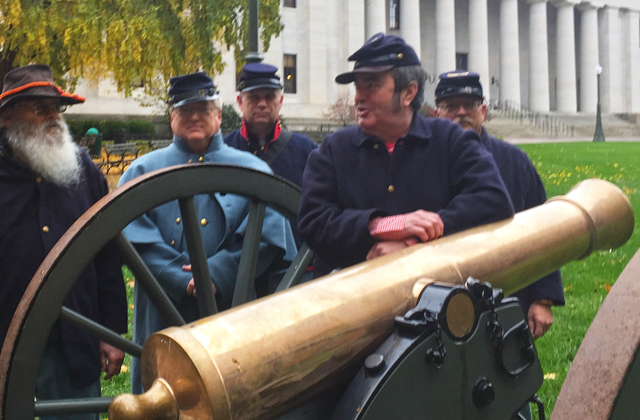 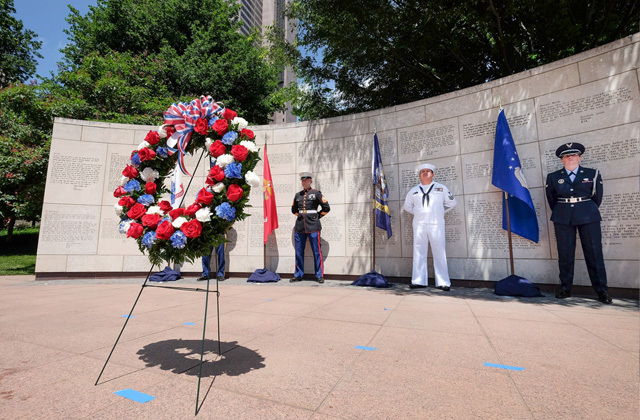 In the course of the past 160 years, Ohioans have gone from honoring specific military and political leaders to depicting the common soldier, remembering the significant contributions of women, children and African Americans and relating the stories of men and women who served their country in their own words. 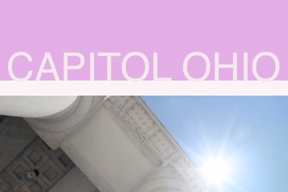 Through the Statehouse public art collection visitors see the evolution of art, from hero worship to celebration of the individual citizen, from realistic to conceptual; these paradigm shifts are highlighted on Capitol Square. 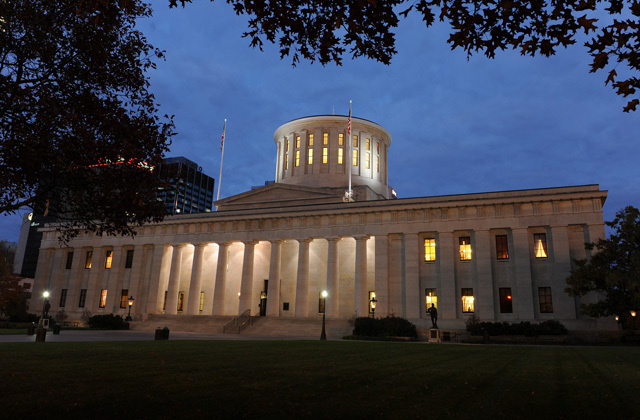 The collection traces our development as a state, a nation and highlights our appreciation for the democratic principles upon which our state was founded. 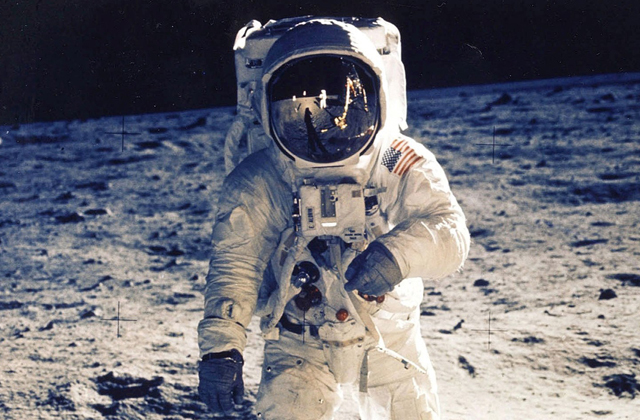 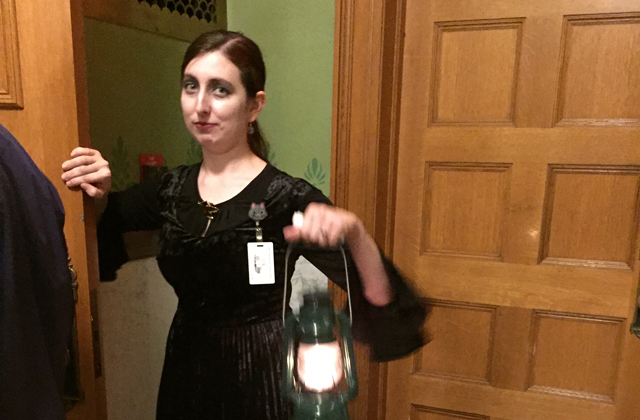 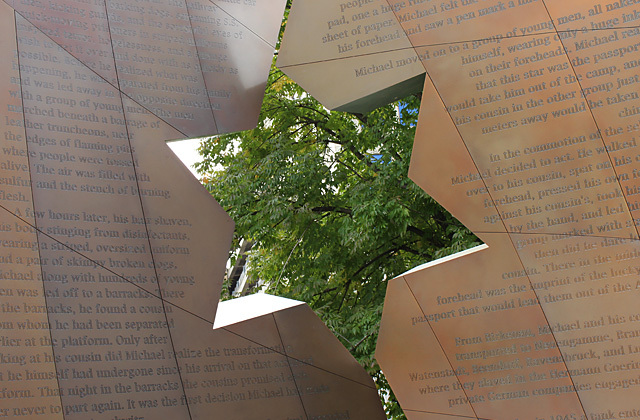 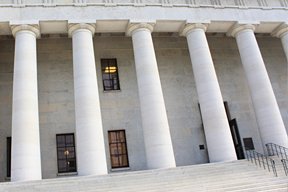 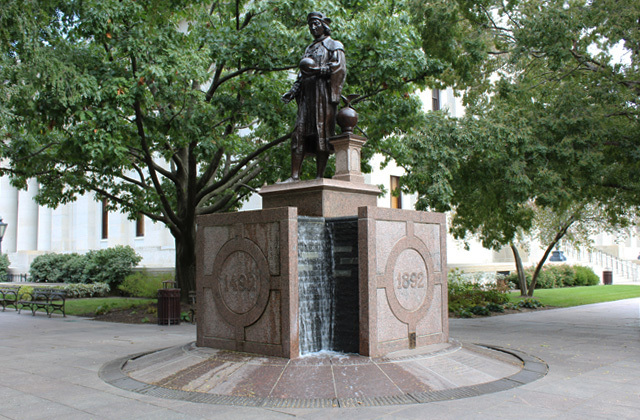 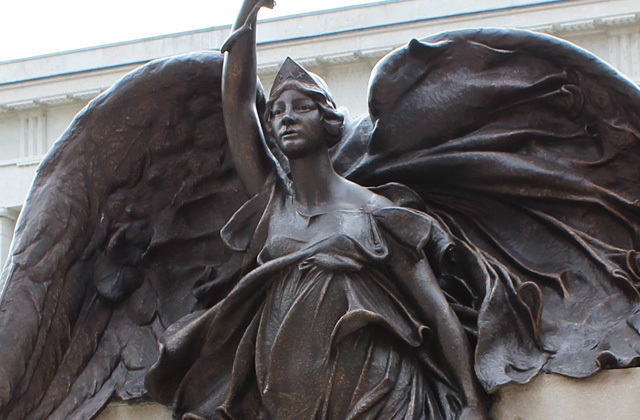 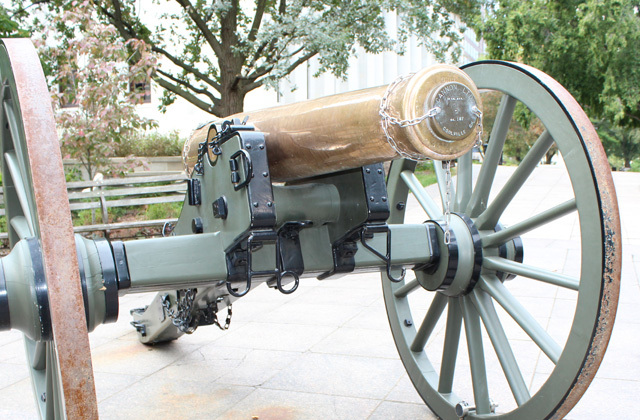 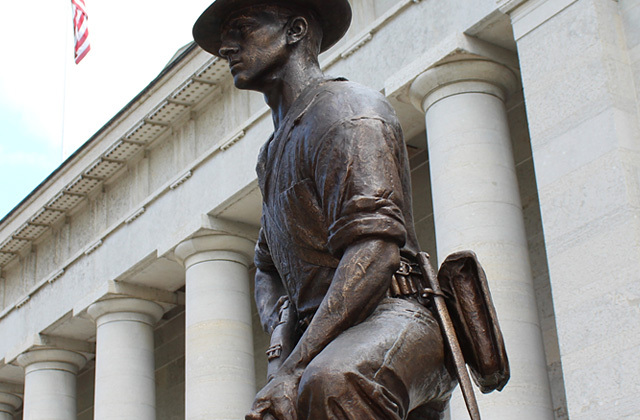 We hope that you explore the collection of monuments and statues on the grounds of the Ohio Statehouse and learn about the significance that these works of art pay tribute to.